Rough Dressed walling is strongly reminiscent of roughly dressed quarried stone. A wide choice of block sizes and shades allows for regional variations in coursing styles and indigenous stone characteristics. Rationalised sizes are compatible with conventional cavity wall construction and every walling block has a profiled end. Accepted in appropriate conservation areas. 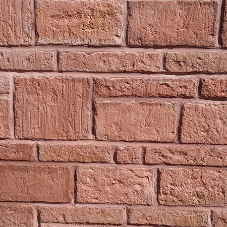 Unique walling block design allows for consistent mortar joint, but when fully pointed the finished wall appears to have a more varied joint width. Selected shades also available in a mixed size walling project pack. 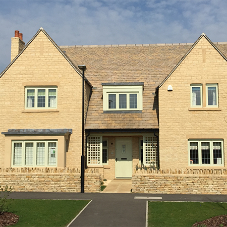 Designed to be economical and highly aesthetic, Stone Slips maintain the authentic appearance of natural stone for external and internal applications. Stone Slips are designed to suit modern methods of construction techniques and cladding/slip systems. Very quick and easy to lay. 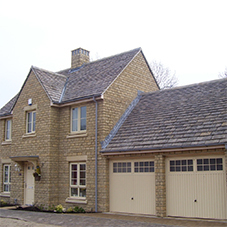 Thicknesses vary from 20mm at the edge to 30-35mm at the centre for a true stone effect. 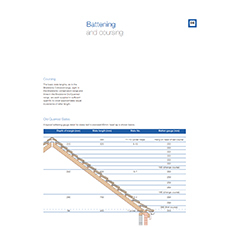 Eliminates the manual handling issues associated with traditional stone or brick materials. Square Coursed Rubble has been developed to faithfully reproduce the classic horizontal stratum lines of natural stone, often found in Northern Britain. The product is offered in either large or small course modules to satisfy regional custom and is laid straight. The large block is especially dramatic in appearance but both options are quick, economical and easy to lay. Large and small modules available. Rationalised sizes are designed for speedy construction with low wastage. 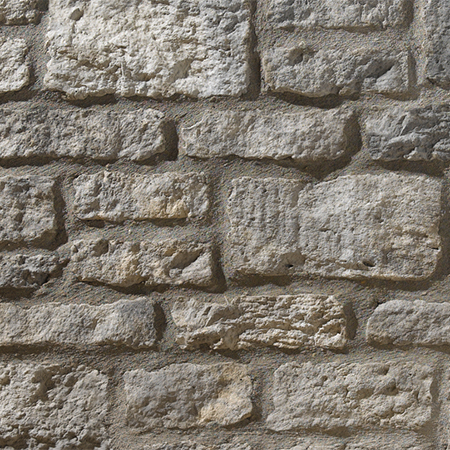 Moulded from natural stone to give a texture close to the original square coursed rubble. Square Dressed walling captures the rugged style of quarried dressed walling stone common to many regions. 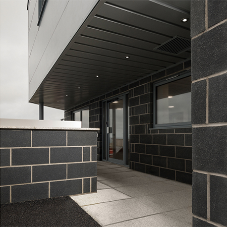 It also offers an interesting alternative to other cladding such as brick or render The various block sizes enable the product to be laid coursed, brought to course, or random. Square dressed finish similar to natural quarried and dressed stone. Rationalised sizes are compatible with conventional cavity wall construction. Range of 225mm blocks for commercial and industrial applications. 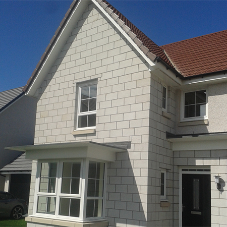 Masonry Block walling has been developed as a simple, economic and ingenious method of reproducing the appearance of traditional random rubble walling found in natural stone areas. With this walling, the coursing is not apparent with Masonry blocks cast in a unique ‘T’ shape with false joints, so that they appear to be made of individual stones. A single size infill block completes the system. Accepted in appropriate conservation areas and areas of outstanding natural beauty. 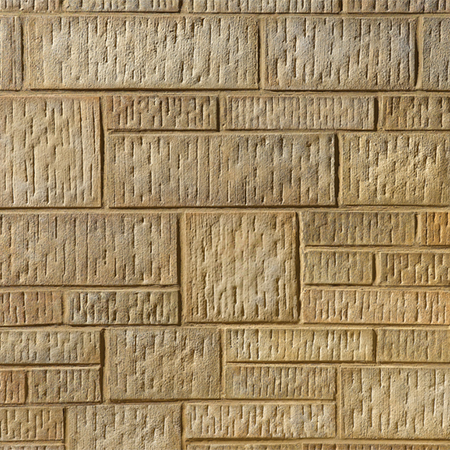 Mortar joints and filled false joints create an effective random coursing pattern. Rationalised detailing and construction using only an interlocking ‘multi-stone’ block and infill block. 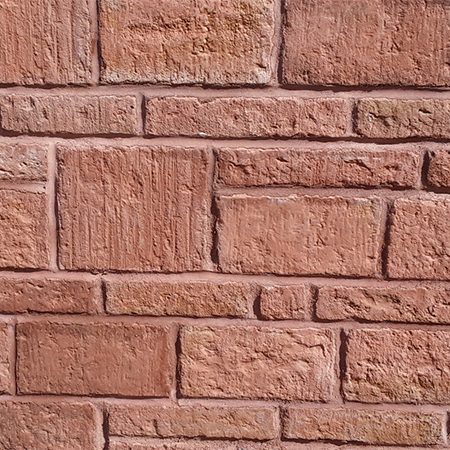 Tooled walling is the original Bradstone walling finish. 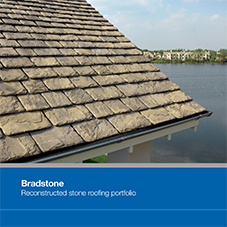 It was developed to reproduce the look of chiselled stone featuring vertical tool marks. 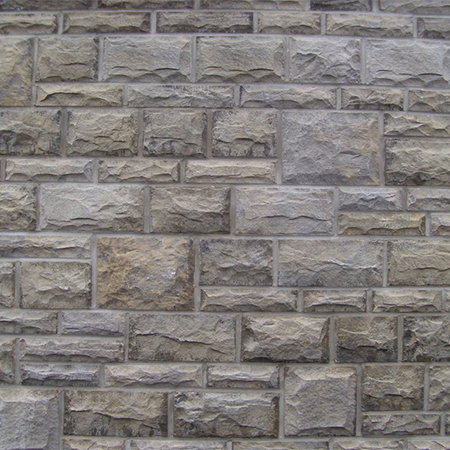 Tooled walling gives the appearance of high quality dressed Ashlar, lending itself to Georgian style architecture or contemporary designs. Tooled walling can also be striking as a string or plinth course with other claddings. 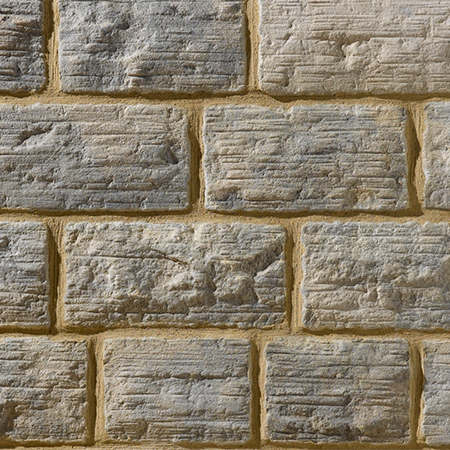 Reminiscent of sawn Bath stone perfect for matching across South West England. Often used in contemporary new builds across the UK. Produced in moulds originated from natural stone masters for a high quality aesthetic detail. 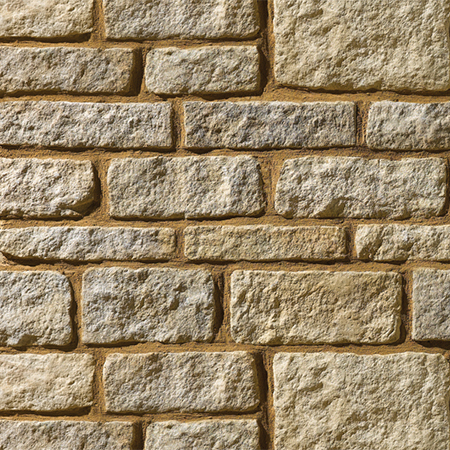 Traditional walling has a squared and lightly dressed finish and is specified as an alternative to natural stone masonry. Traditional walling can be laid to course, or random brought to course using jumper blocks. Each block features a profiled end. Distinctive alternative to brick. Rationalised sizes are compatible with conventional cavity wall construction. Choice of block sizes for different coursing options. Selected shades also available in a mixed size walling project pack. 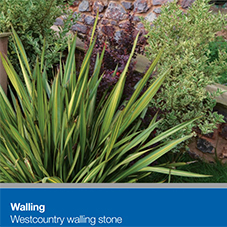 Westcountry natural walling is a range of beautiful hand selected stone available from five locations in Devon, Cornwall and Somerset. It is ideally suited to matching existing structures in these localities and will add distinction and appeal to any development. 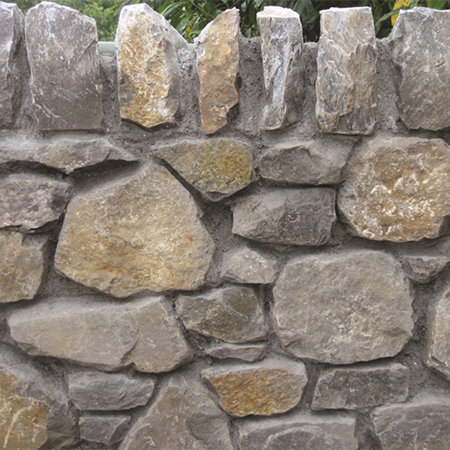 Westcountry walling stone is supplied in random shapes and sizes suitable for building a natural appearing stone wall. The stone can also be dressed on site if a more regular appearance is required. 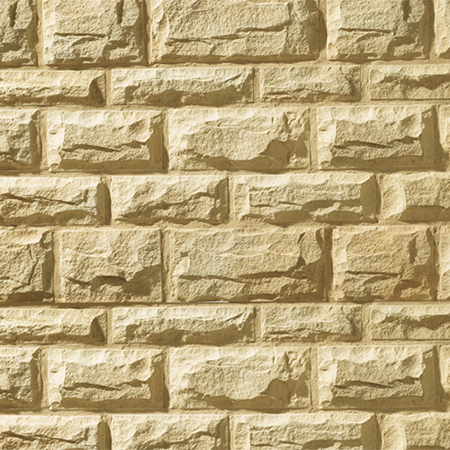 Travertine walling replicates the natural face texture of natural travertine, but provides a proven level of durability for use both internally and externally. Produced in moulds taken from original natural stone masters. Manufactured to weigh less than 20kg to comply with manual for outstanding detail handling guidelines. Actual face size of 444 x 219mm for use with a 6mm joint. 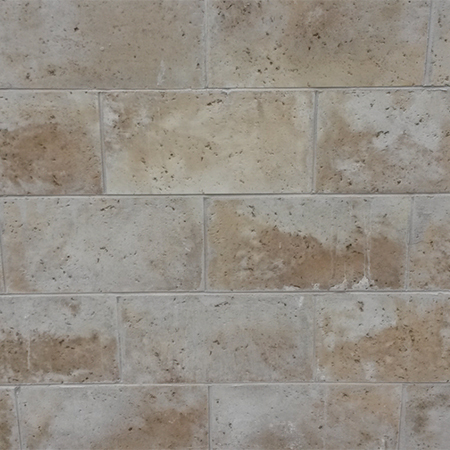 Available in two colours, Tuscany and Limestone Buff. Half blocks 219 x 219mm are available. Units with return ends available. Quion blocks and return ends available for openings.